Fit is an issue I discuss time and again with regards to men’s clothing. Getting clothes with the perfect fit is a tough call. 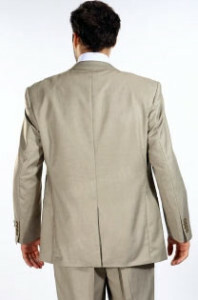 One of the most common mistakes men make is buying garments without considering size implications on their frame. To combat this problem I’m going to take you through the intricacies of finding clothing with the perfect dimensions, be it necklaces or neckties, socks or sleeves, coats or caps, and any combination therein. Before considering clothing we need to assess our bodies. No, I don’t suggest you stand in front of a mirror and point out flaws. Instead, a far more productive approach is to take exacting measurements of every square inch of your body. When you know exactly what you’re dealing with, you can begin to think about shopping for a better fit. Standing with your head straight up, measure around the thickest part of the neck. Slacken the tape enough to allow two fingers into the loop for an accurate measurement for dress shirts. You need to measure in a straight line over the chest at the widest and fullest point with the tape securely wrapped under the armpits and with your arms relaxed by your side – err on the side of generous where possible. Measure around the spot where your trousers normally hang. Do not pull tight for the sake of vanity as you’ll feel even more ridiculous when your new pants don’t fit! If you end up with an awkward figure, always round up rather than down. For instance, if you’re 39 and three quarter inches it’s best to assume you’re a 40-inch waist. Stand upright in your natural stance and measure around the widest and fullest part of your hips. If you’re husky don’t pull the tape too tight – you don’t want to tear at the seams. Ah, the dreaded inseam. Get a friend you trust to measure from your crotch to the ankle. If the idea of someone placing his or her hands near your privates is all too much you can alternatively take the measurement from a pair of good fitting trousers from the crotch’s seam to the bottom of the leg. The same as the inseam only taken from the top of the waistband to the bottom of where the trouser leg should end. This is said to be more reliable figure than the inseam, although few manufacturers provide fit information regarding the outseam. 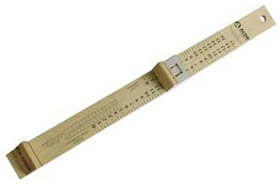 You should have your feet measured using a professional device such as a ‘Brannock’ or ‘Ritz Stick’. These are found at your local shoe store; just ask an assistant if he or she can measure your feet, or whether you can borrow their device briefly whilst you measure yourself. Should always be one size up from your waist size. Therefore, if you’re a 35 inch waist, you should be buying 36 inch belts. Stand up straight against a wall. Use a pencil to mark out your height and measure the result. Those who are 5”5 – 5”8 are considered by clothing manufacturers to be short, 5”9 – 5”11 are regular whilst anything upto 6”2 is considered long. The next thing you need to understand is your body shape. Unlike size, your shape tends to fall into broader categories. Whilst slightly more subjective, it’s important to know what you’ll have to do in order to combat shape related issues. If you’re a muscular man with the classic inverted ‘V’ (created from wide shoulders, a robust chest but a thin waist) you’ll find items like t-shirts will billow around the lower stomach area. If you look more ‘malnourished supermodel’ than ‘superman’, you’ll find clothes slide off your frame and appear limp. Hunt out slim fits to avoid unnecessary bulk and avoid slatternly, feminine garments that deaden your masculine side. Don’t go crazy with the vertical lines and look for clothes that offer visual breaks like zippers, pockets and noticeable seams. Remember that ‘skinny’ garments, like ties and jeans, will give off an anorexic vibe. If you’re squat guy with the traditional ‘ruby player’ bulk, combat the feeling of shapeless shirts by avoiding too much volume. Although you don’t have the plump heft of bigger men, you should take a page out of their fashion book by throwing away those chunky knits. If you’re unfortunate enough to be born with ‘thunder thighs’ and/or ‘child-bearing hips’, you’ll find buying trousers to be a nightmare. Boot cut jeans and slouchier, ‘relaxed’ fits help with casual clothes, but when it comes to workwear and business suits you’ll find lycra-infused cottons and other ‘stretch’ weaves will give you a better fit around the seat area. If you have a couple of pounds you could do with losing, you’ll need to avoid anything baggy that’ll only exacerbate the appearance of flab by adding imaginary pounds with wafting fabric. Throw out shapeless garments and avoid stripes, busy patterns and chunky knits. Your overcoat should be able to accommodate a suit underneath without issue. The simple rule of thumb is that any horizontal wrinkles mean the coat is too small and any vertical wrinkles mean the coat is too large. 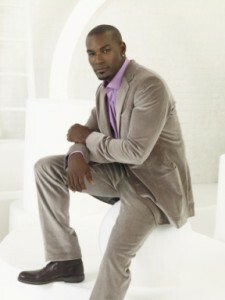 Be it suit jackets or casual coats, the idea behind most jackets is simple – a form fitting upper layer. It’s best to try on a jacket whilst wearing several layers as you would normally; the perfect size may become too small when switching from a white tee and jeans to dress pants and a long shirt. The shoulders are everything with a jacket; the edge of your shoulder should hit square with the jacket. Excess billow around the waistline will add those extra pounds to your frame, so ensure you’re not going a size too big. Finally, ensure the cuff hits the wrist correctly on your suit jackets and blazers; when wearing a dress shirt the sleeves should poke out the jacket half an inch on each side. Pullovers should skim your silhouette. In other words it should comfortably glide against your frame, hugging you gently in the process. You also need to ensure your sweater is sufficiently long so it won’t rise above your midriff when raising your arms above your head. The sleeves should cover the wrist but not go too far down the hand; cuffs should feel comfortably tight, but still be able to glide far enough up the arm for checking a wristwatch. As with a jacket, the shoulders are incredibly important; make sure the seams meet correctly and the fabric doesn’t ‘slope’ off. Like your sweaters, a waistcoat should skim your silhouette – by design, a waistcoat is a form-fitting garment, so there shouldn’t be any billowing. Always ensure you have plenty of room around the armholes to avoid shirts from riding up when raising your arms. When trying a pair on (without shoes) the pants should *just about* touch the floor. When wearing your shoes, your trousers should discretely cover your socks whilst walking – if you’re flashing too much ankle, the pants are too small. The knot should fit neatly under your collar; if it’s pushing up the shirt the knot is too swollen. Remember, the tie should hit the top of the belt buckle; it shouldn’t be tucked into your waistband or end at your stomach. This is the penultimate guide for so many men who think that if their dressing begins and ends with the laundry basket! Nice. This is certainly an article to come back to from time to time. Speaking of belts, there’s a way you can avoid the trouble of measuring yourself. Though they’re only suitable for casual situations, D-ring belts can adjust themselves perfectly to your waist. What I like about D-ring belts is that even if you lose or put on some weight, you can still fit them perfectly. A great point, George. Thanks for the comment. I’m a muscular guy, but I sure ain’t no “inverted v.” Your description is upside down. An inverted v = pyramid. An inverted V isn’t the same as an upside down V; think the same shape but coloured in. Thank you for your kind words, BTN. I appreciate there may be some issues with the definition within the context of the article (hence the clarifying explanation in brackets), and so I will try to avoid using the word inverted in this context in future.